If there’s one sweet treat I can’t turn down, it’s raisins. No, they don’t have to be covered in chocolate for me to gobble them up. I could seriously sit down and eat a bucket full of raisins – I’d get a tummy ache but it would be worth it! 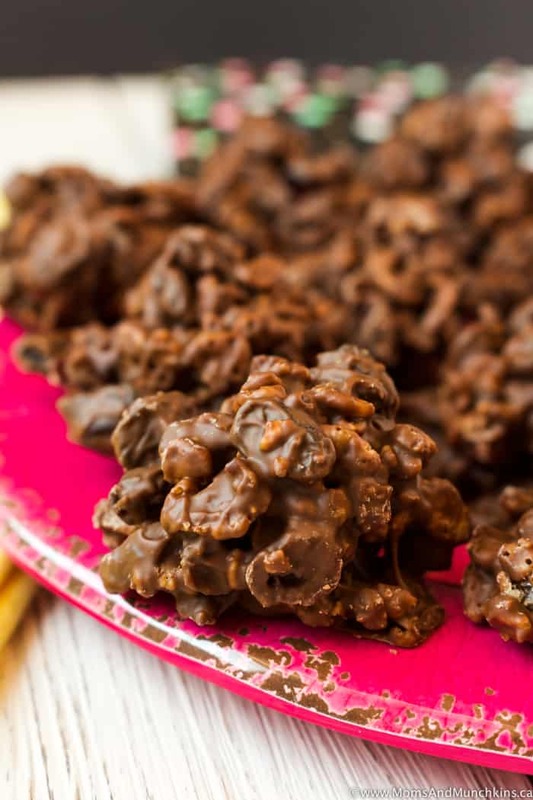 These Dried Fruit Chocolate Clusters are raisins, dried cranberries and Rice Krispies cereal melted with milk chocolate to form chocolate clusters. So yummy and no baking required! An excellent treat idea for holiday baking tins and did I mention how incredibly easy they are to make? 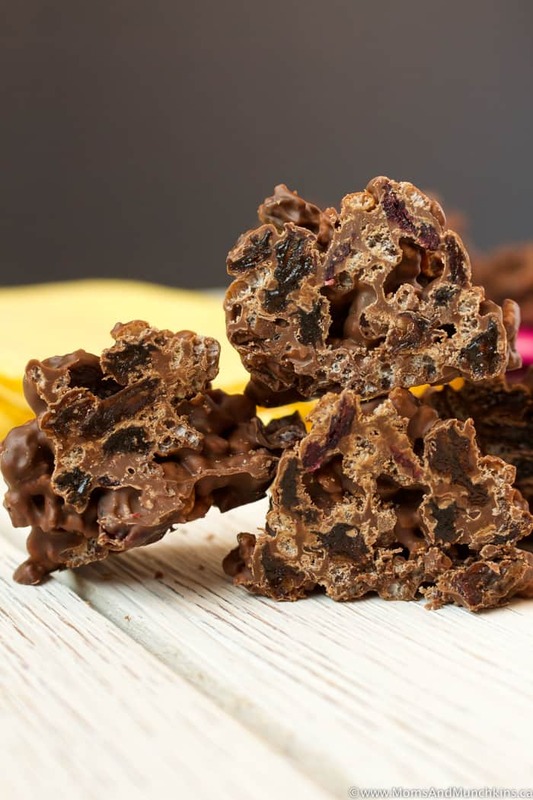 These Dried Fruit Chocolate Clusters take only a few minutes to make but you’ll need to let them set in the freezer for at least 30 minutes to allow the chocolate to harden. In a large saucepan, melt chocolate chips over medium heat. Stir this constantly as it will burn easily. Once chocolate has melted, remove from heat then stir in raisins, dried cranberries and crispy rice cereal. Stir until well mixed. Drop by 2 tablespoon scoops onto wax paper. Put in freezer to set for at least 30 minutes or until chocolate hardens. Store in refrigerator in a resealable food storage bag. 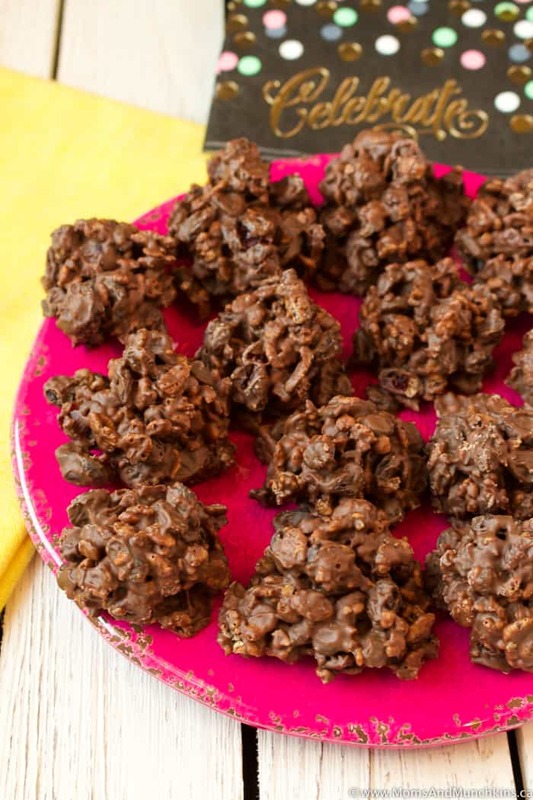 This recipe makes approximately 25 chocolate clusters. 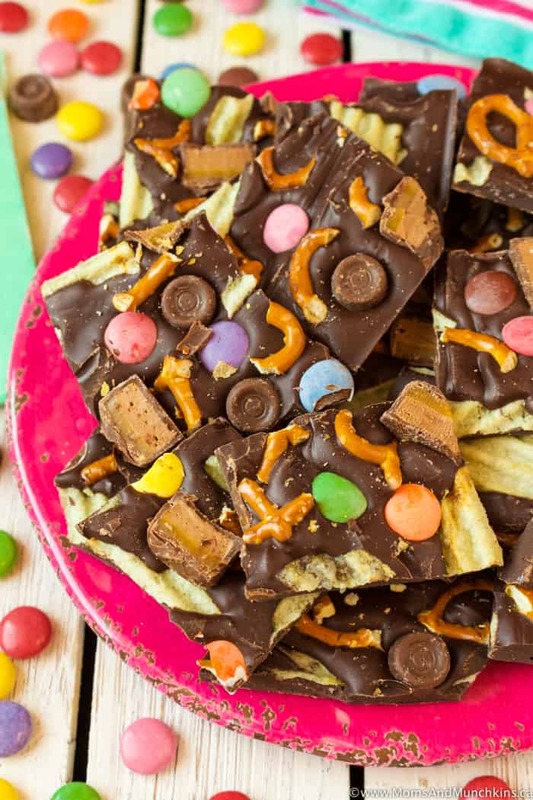 Sweet & Salty Chocolate Bark – another super easy, no-bake recipe. 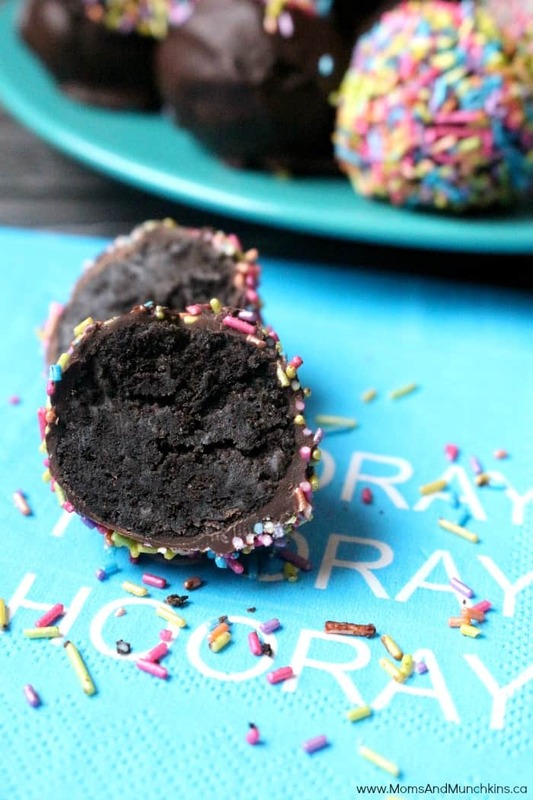 Oreo Truffles – no baking means more time for eating! For more tasty ideas, visit our recipes page. Stay updated on the latest home entertaining and recipe ideas by following us on Facebook, Instagram, Twitter and Pinterest.